Imagine the scene. Elizabeth opened her door and her arms to hug the young visitor. Instinctively she felt both pain and joy. “You are blessed among woman” she whispered in Mary’s ear by way of validation – and that validation helped lift the burden from Mary’s shoulders. Within a few moments the story was told, so far as Mary understood it. What a relief to feel the encouragement and to have one who would help her understand what has happening. 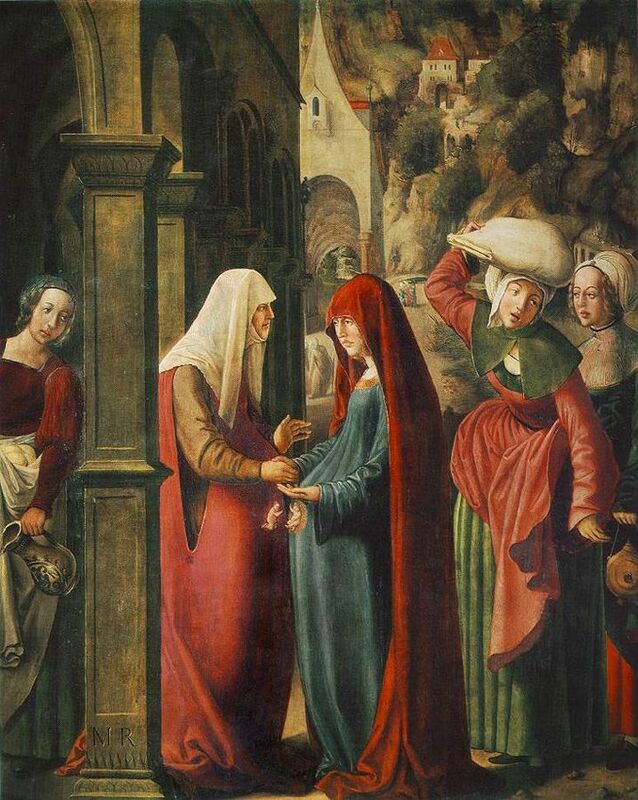 When Mary realized that Elizabeth also was pregnant, she stayed with her. Her youthful, infectious spirit must have been a blessing to the older woman. As they tended the home-making chores and marketing together, we can imagine them sharing details about their developing pregnancies. Laughter and tears and questions about what their children would become made the days pass quickly. Both were trying to grapple with how the hand-of-God changed their lives. Eventually it was time for Mary to return to face her confused yet devoted fiancé. Elizabeth made suggestions how Mary might encourage him and love him through the bad times they had yet to face. Out of the rich sharing of sisterhood both women found enough strength to nurture a new generation. (Elizabeth gave birth to John who was later known as “The Baptist”).